Please help us spread the word! 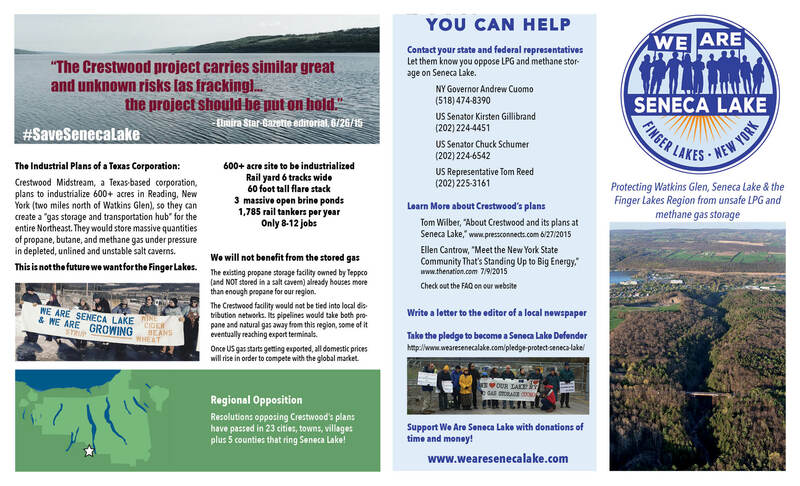 These beautiful brochures about Crestwood’s plans to store LPG and methane gas at Seneca Lake and why we defend Seneca Lake have been professionally printed – if you have a location you would like to distribute a quantity of them, please contact us! 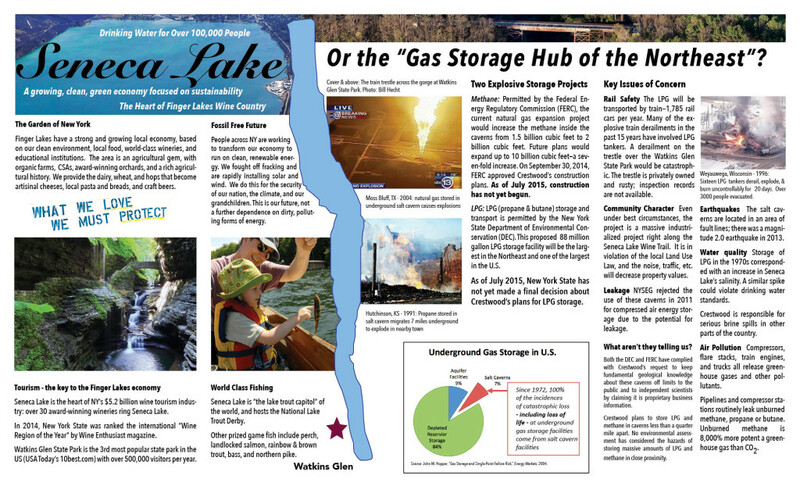 If you would like to print a few at home, here are the desktop-printer friendly files. Note: it requires legal-sized paper.